Earlier this week, we mentioned that Microsoft would be coughing up Windows 8 upgrades for the bargain price of $39.99. That's a fine deal, but it looks like Windows 8 Release Preview testers will get the same offer. That's right -- when the time comes, users brave enough to test out Microsoft's freely available Windows 8 RP will be able to upgrade their pre-release installation to the final, upgrade version for a mere $39.99. This information originated from ComputerWorld but ZDNet's Mary Jo Foley has confirmed it with Microsoft. She also points out that there's no explicit distinction between Home or Professional versions, so upgrades to Home and Pro editions may both be $39.99. Although we haven't seen an exact release date for Windows 8, there have been plenty of clues it'll be dropping sometime between September and October. Rumors of the gold/RTM version -- the final product which will be shipped to OEM partners -- suggest that Windows 8 could be finalized this month. In order to be eligible for the $40 upgrade, users must first install the Windows 8 Release Preview. 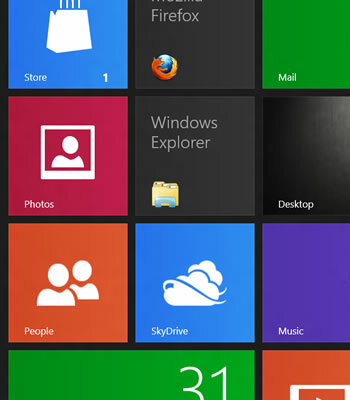 When retail copies of Windows 8 hit the shelves, RP testers will be able to use the Windows.com upgrade tool to "upgrade" their system to Windows 8 RTM. It's important to note that the term "upgrade" isn't necessarily a precise description of what to expect. When users upgrade their RP to RTM, their system settings will not be saved. However, the upgrade tool will retain personal files (e.g. "Documents" and "Desktop") and presumably most application settings (e.g. the "AppData" folder) but Windows itself will be installed from scratch. This essentially sounds like a clean install with the added bonus of user migration and should prove to be acceptable for most people. The offer is expected to be valid until Jan 31, 2013.